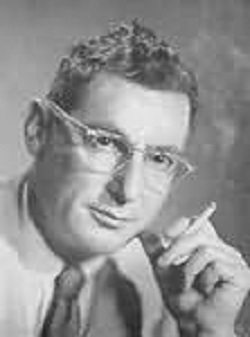 Pat Frank was born Harry Hart Frank in Chicago in 1908 and died in Atlantic Beach, Florida in 1964. He is not well known today as one of the leading Florida authors of his time, but he really was. He spent some of his life living in Tangerine, Florida, a small rural community a couple of miles south of Mount Dora. It was here that he wrote his best selling novel, Alas Babylon. This novel immediately gave him recognition as one of the most famous Florida authors. He wrote this novel about survivors of a nuclear holocaust during the peak of the Cold War in 1959. Many Americans were required to read it in high school or college. The novel is a classic story about how people cope with disasters and deal with the darker side of human nature. Many observers believe that the novel's fictitious town of Fort Repose is actually based on Mount Dora, Florida. After attending the University of Florida for two years, Pat began his career as a reporter at the Jacksonville Journal in Florida. He later worked for the New York Journal and the Washington Herald. While with the Herald, he became very knowledgeable about government and world affairs, and eventually became a government consultant. Like an early Tom Clancy, he had an ability to portray government secrets in a very realistic way. When World War Two ended, Pat started a full time career as a writer. His books are available from Amazon.com by clicking here. Here is a wonderful sad and happy story about Pat's life that was published in 2009 in the Jacksonville Times Union.